Over the years, St. Barnabas has maintained a commitment to feeding the hungry. Weekly food donations for Neighborhood House had been gathered for decades, and St. Barnabas was a founding member and participant in the annual SW HOPE: Feed the Hungry campaign to support Neighborhood House. A St. Barnabas team also volunteered at Meals on Wheels for many years. Our commitment to this mission was strengthened ten years ago with an updated long range plan that focused our parish outreach on feeding the hungry. 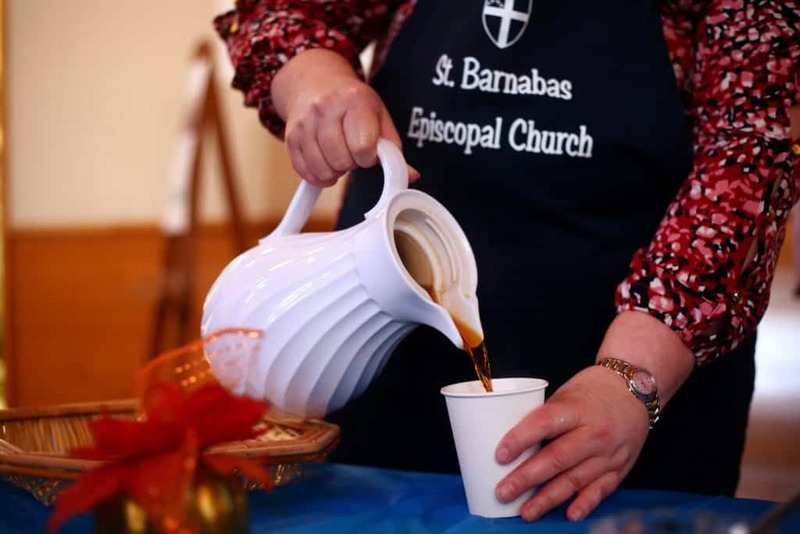 In November 2009 St. Barnabas began offering a free community dinner the second Saturday of every month. Parish volunteers prepare and serve dinner in Grafe Hall (the parish hall). The dinners currently serve 50-60 people, and include take-home meals for people who cannot get to the church or anyone who might need an extra home-cooked meal later in the week. 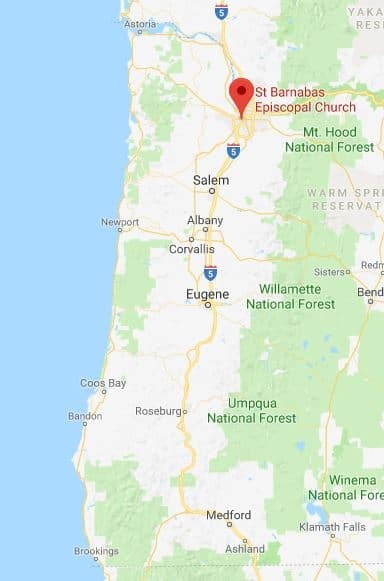 The dinners reach a cross-section of southwest neighbors including people with no connection to the church, people of other faiths, people who are houseless, people experiencing food-insecurity, and people who are just lonely and need some company. It’s a “feed the body – feed the soul” ministry. We strive to make the dinners welcoming and festive; more like dinner with family than a soup kitchen. One couple creates flower arrangements and table decorations every month. November’s dinner includes homemade pumpkin pies, and December’s includes a visit from Mrs. Claus. About five years ago we also began distributing food bags to dinner attendees who might need them. Parish members donate food supplies for the activity or donate cash. Between 15-20 grocery bags are distributed each month. In addition, our priest, The Rev. Sean Wall, is able to retrieve food from the pantry during the week if people should ask for assistance, and dispenses grocery gift cards as needed. 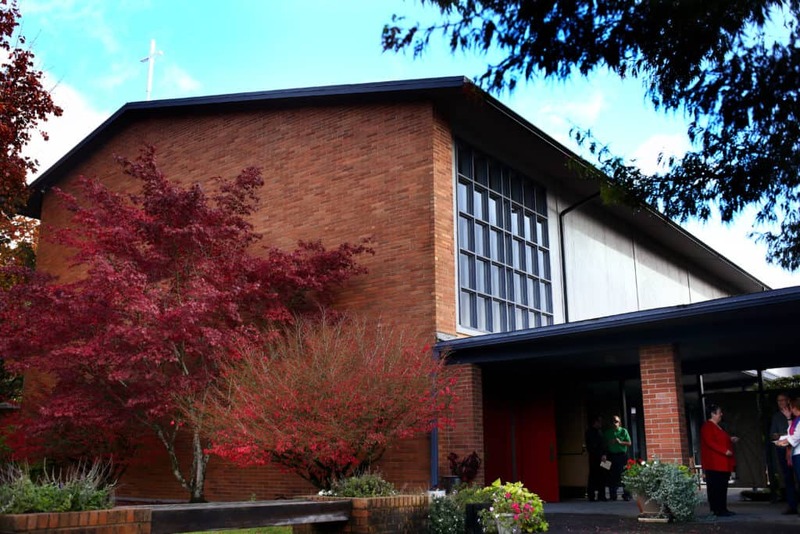 More recently, St. Barnabas began volunteering to serve meals at the Portland Rescue Mission’s Burnside center one evening a month. Another team of volunteers prepares and serves dinner once every other month at Shepherd’s Door, the women’s residential addiction recovery facility operated by Portland Rescue Mission. These activities accomplish a secondary goal: to be the hands and feet of Christ in the world, not just in our buildings! Volunteers include adults, teens, seniors, and anyone is welcome.